Many public school systems across the country have institutedchool uniforms in an effort to improve overall school performance and to reduce negative behavior. Standardized school clothing has become a heated national debate with experts taking stands on both sides of the dispute. There are many pros and cons of school uniforms to consider. The commonly cited advantages of uniforms are increased academic performance, reduced behavioral problems, and increased social harmony. Many educators believe that students who wear school uniforms perform better academically in school. 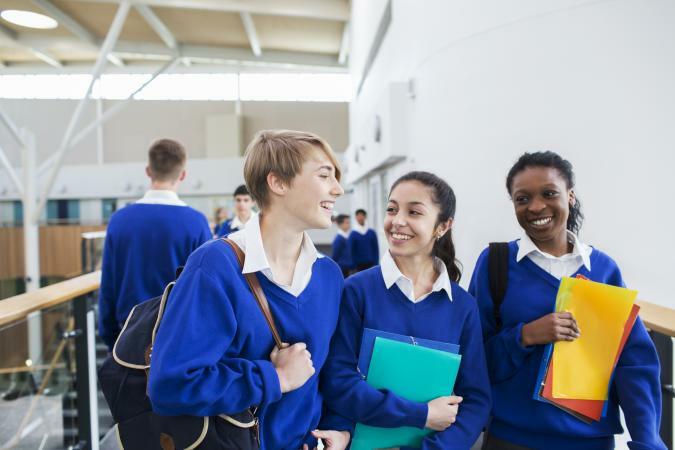 Several studies, such as one from Walden University, back up this claim noting that uniforms seem to correlate not only with improved academic outcomes but also school uniforms seem to be a contributing factor to less bullying and a higher sense of safety in the overall school climate. Students are often so focused on their wardrobe that it distracts them from learning. The idea is a mandatory uniform policy will remove this distraction and improve student attention, and that uniforms set a more serious tone within the school environment that is more conducive to learning and can improve student performance. Many children spend a great deal of time planning and choosing their daily clothing. A school uniform removes this obstacle and allows students more time to study or sleep. Additionally, a school uniform can make getting ready in the morning easier. It is generally thought that students who wear school uniforms behave more appropriately in the school environment. They believe that uniforms dictate a stricter atmosphere and that students who wear uniforms are more likely to follow school rules. In a comparison of two schools done by Walden University, one without a uniform requirement and one with a uniform requirement, teachers from the school with the requirement ranked the social environment of their school significantly higher than the other teachers. They also noted an increase in safety, a decrease in bullying and an overall increase in positive social change. Children are often ridiculed by other children because of the way they dress. Many children use clothing to express themselves and to define themselves. This self-expression and definition often leads to the formation of cliques in the school environment. 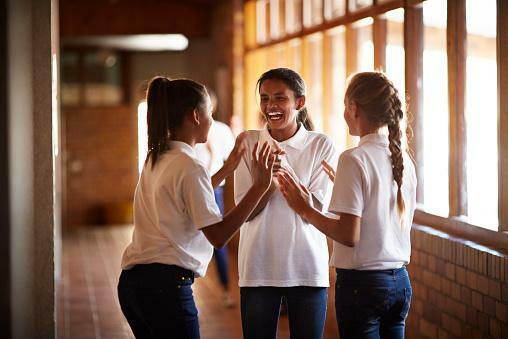 Many students feel that they are judged according to what they wear by other students as well as by teachers and administrators. School uniforms remove these factors from the social environment within the school, thus relieving students from the pressure to fit in. Experts believe that, by improving the social environment through mandatory standardized dress, both academic and behavioral outcomes improve. School uniforms can create unity and a sense of community within a school. Since uniforms tend to level the playing field for students, they can have the advantage of building order and structure. This helps to make the students feel like a unit rather than individuals. Commonly cited cons of school uniforms include a reduced amount of opportunities for self-expression, a reduced sense of individuality, possible increased costs in clothing and possible reduced comfort. Many educators and sociology experts argue that requiring children to wear standardized uniforms stifles their self-expression. Self-expression is an important part of child development, with research noting that those who do not wear uniforms have a better understanding of self-perception. Some believe that curbing it with uniforms can be detrimental to children. Experts also believe that students who are forced to wear uniforms will only find other, less appropriate ways to express themselves, possibly through the inappropriate use of makeup and jewelry. Some experts believe that public education attempts to strip children of their individuality. They believe that public schools do not meet the needs of children who do not fall in the norm and that uniforms attempt to force every student into one mold. They see the standard dress as yet another way for educators to remove student individuality where they should be embracing and celebrating diversity. Those who are opposed to uniforms suggest that it is not in the best interest of the child to try to control socialization, which is a part of human nature. They believe that such use of school uniforms does not prepare children for the real world, in which they will be judged by appearance. Many students also report purposefully defying the rules around what their uniforms should look like as a way to maintain some semblance of individuality. Uniforms take away choices. Instead of children thinking critically about choosing clothing that fits within specific guidelines, they are instead told to follow the masses. This can make it more difficult for them when they graduate since thinking critically about clothing choices is important in the adult world. Many people believe the cost of school uniforms is a negative factor. 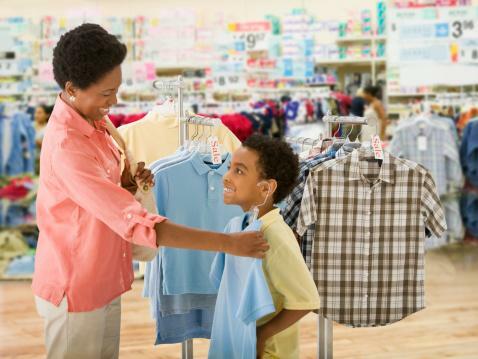 Some claim that having to purchase uniforms increases the amount of clothing parents will have to buy for their children because the children will still want and need clothing for the hours they are not in school. Cost can be seen as a negative aspect of school uniforms because there is no use for them outside of school. Additionally, many parents complain about the high cost of uniforms for their school. There is much debate over the pros and cons of wearing school uniforms. Many educators and experts believe that, although in theory uniforms should improve academic, behavioral and social outcomes, in reality, they do not. These experts argue that the studies of schools who initiate uniforms report very minimal improvement if any in these areas; therefore if the desired outcomes are not reached, there is no valid reason to standardize student dress. There are also, of course, experts who maintain that uniforms do have advantages. 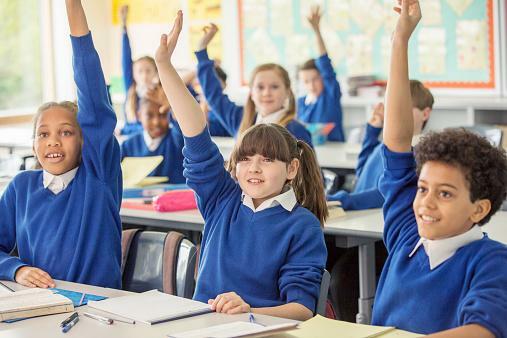 Every school district weighs school uniforms pros and cons and must decide the issue separately, usually following much debate surrounding the advantages and disadvantages of requiring elementary and high school students to wear uniforms.